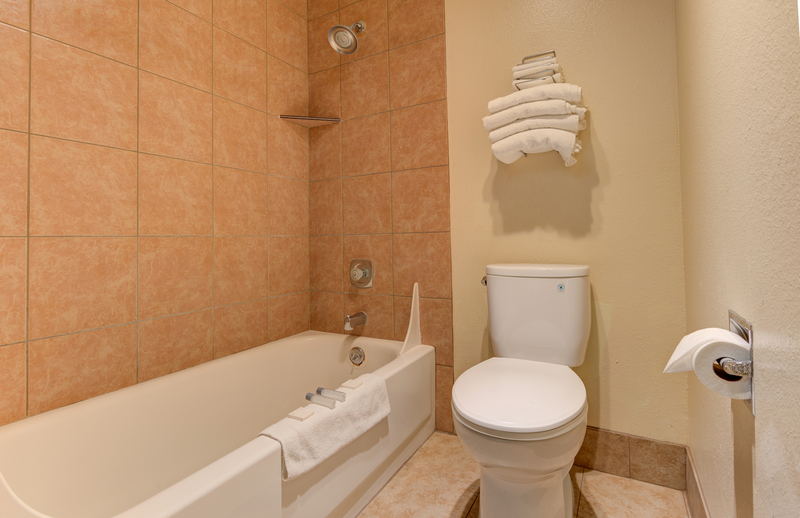 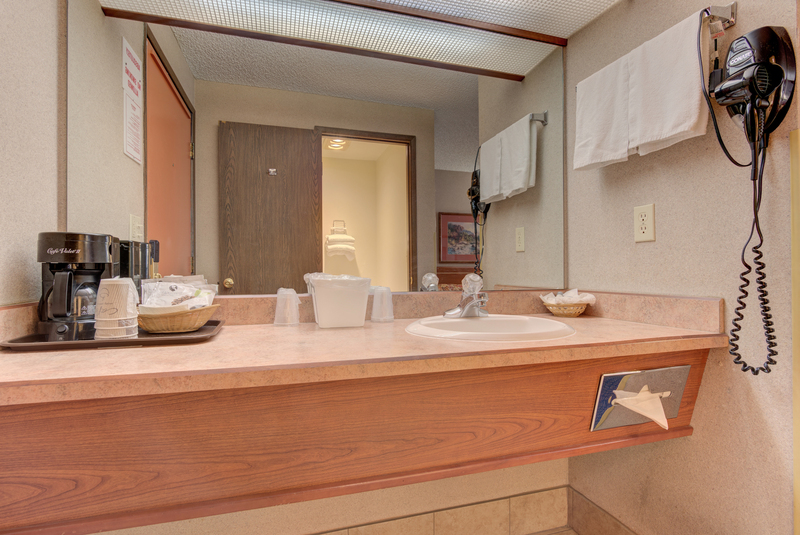 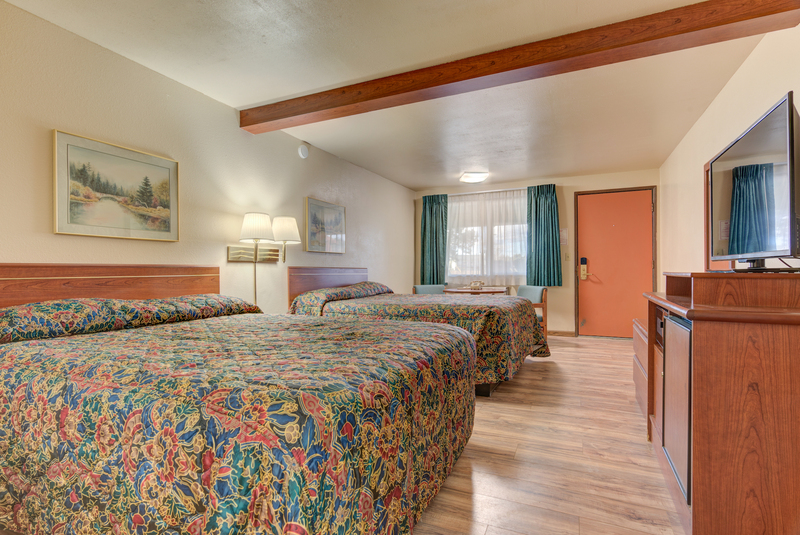 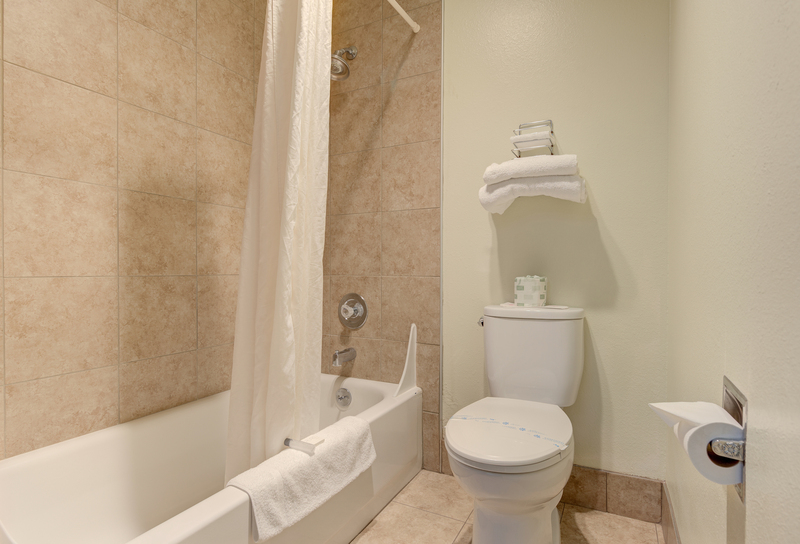 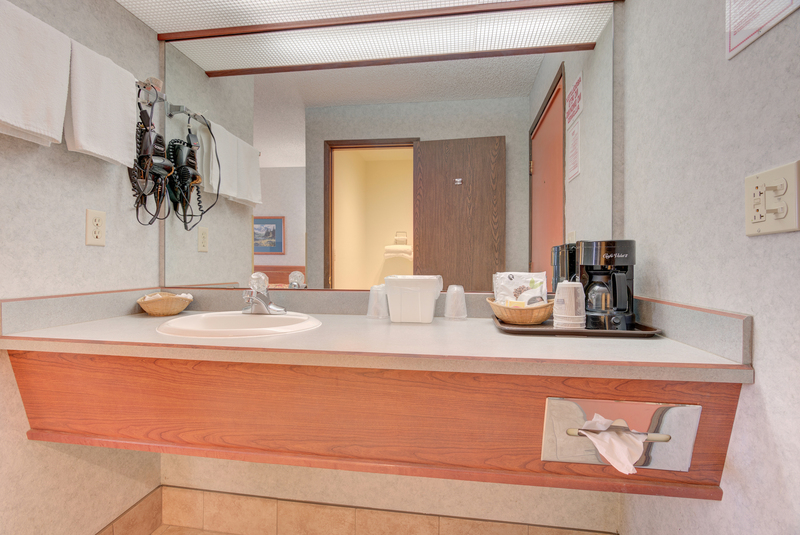 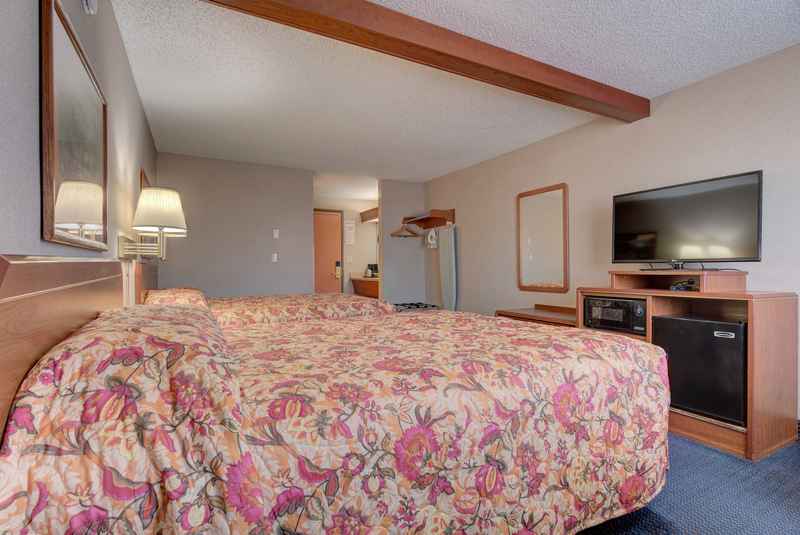 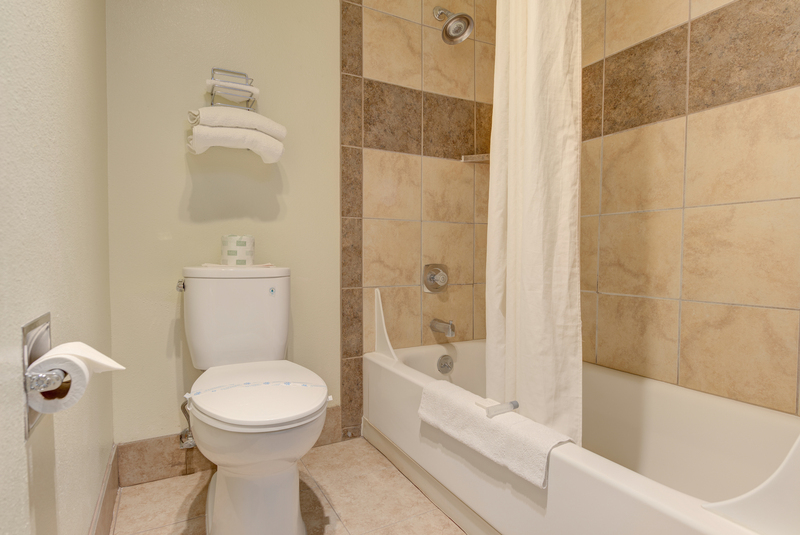 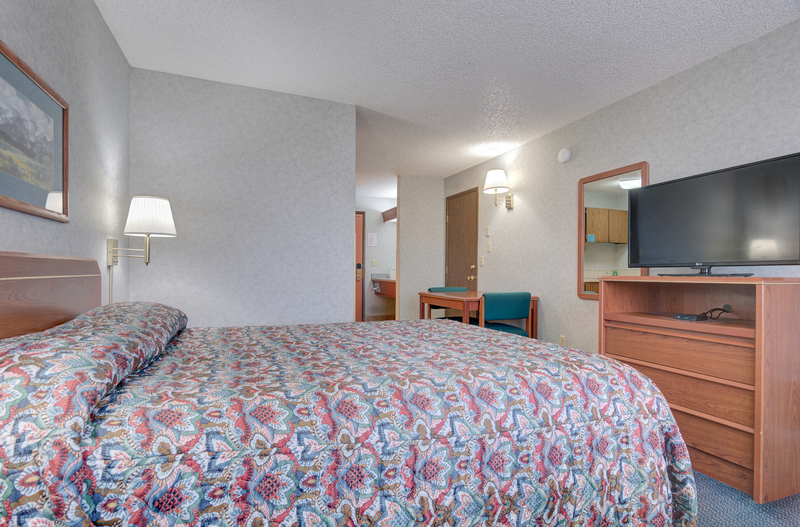 The perfect size for one to two guests, our standard Queen rooms come with all amenities. 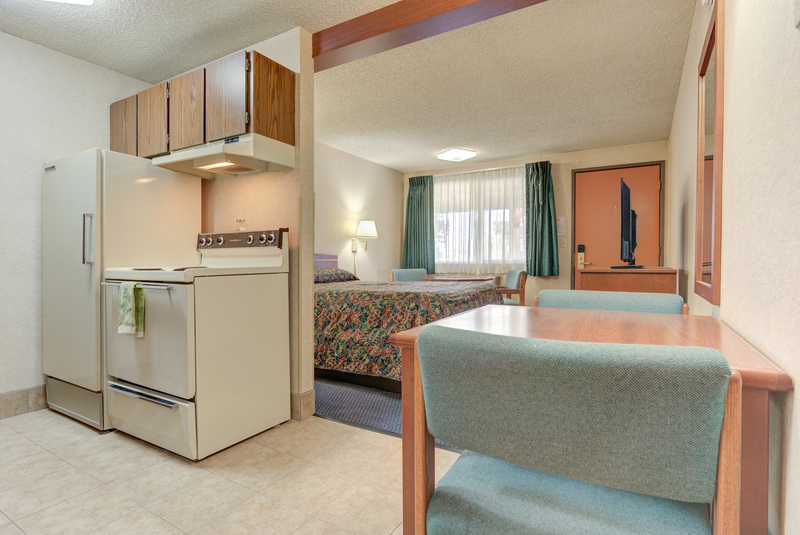 Single bedroom with desk and armchairs, one bathroom. 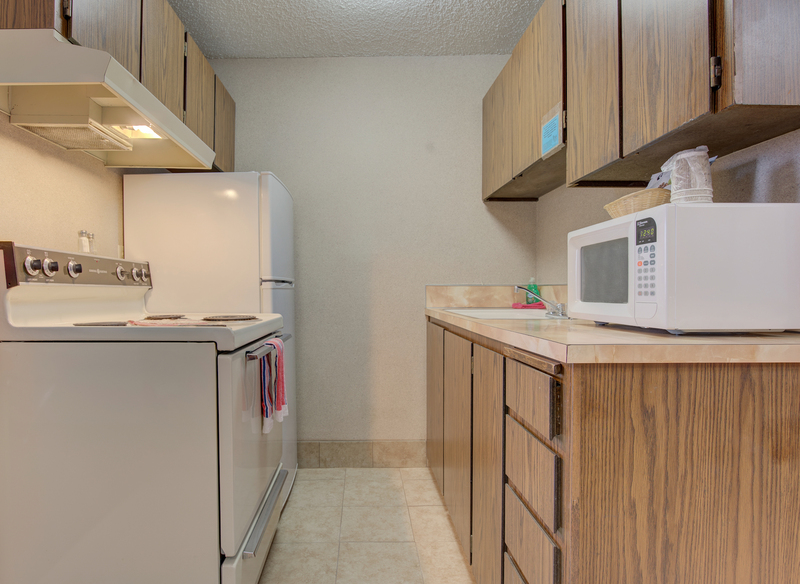 Microwave, mini-fridge and flatscreen included. 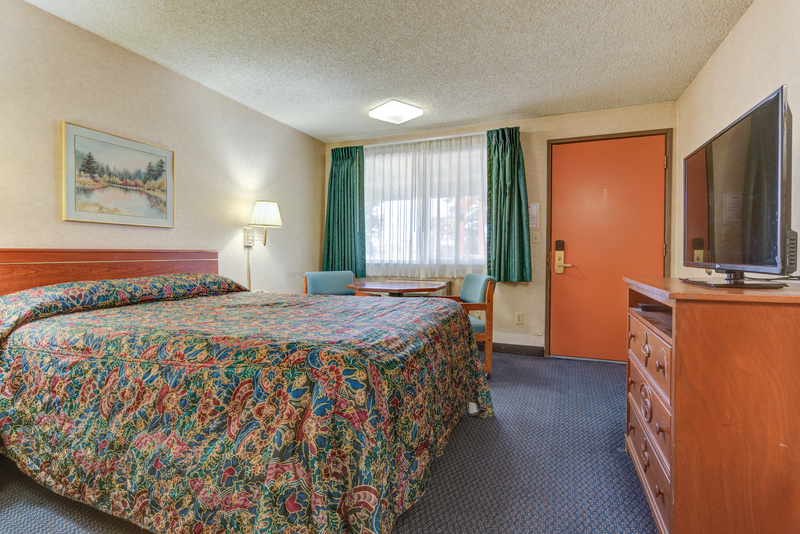 Please Note: Pets are allowed in designated rooms only, and pet charges are applicable upon arrival. 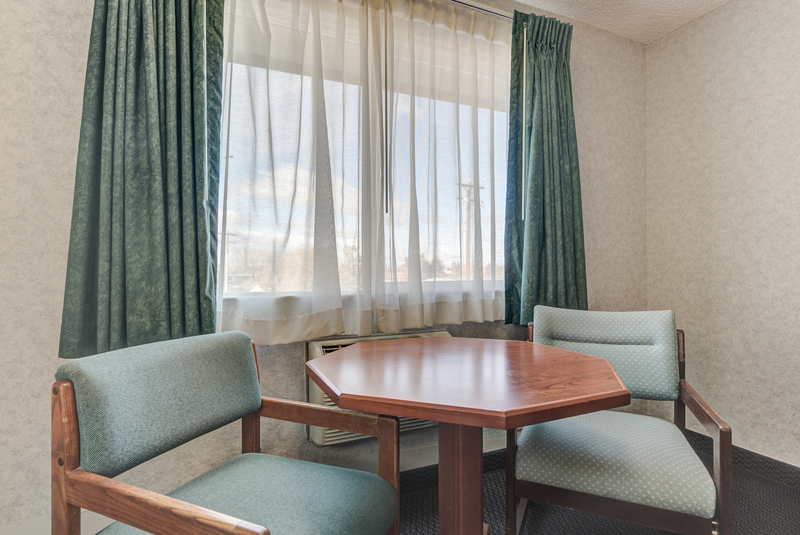 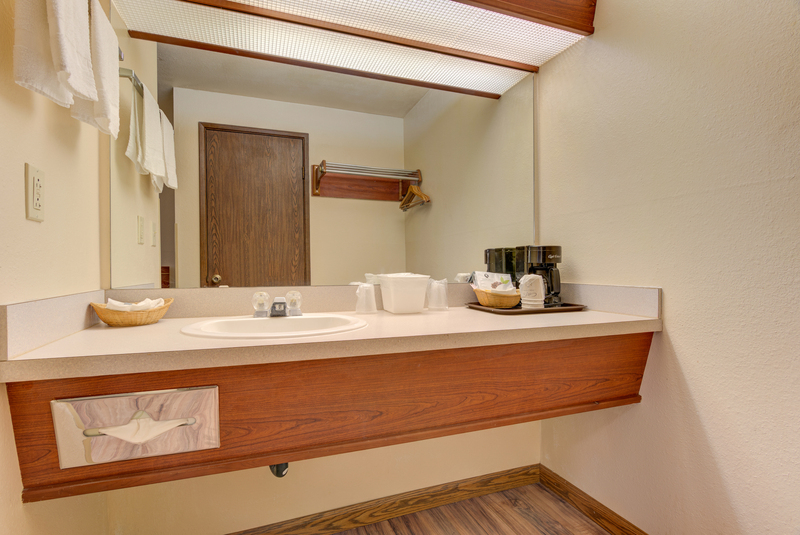 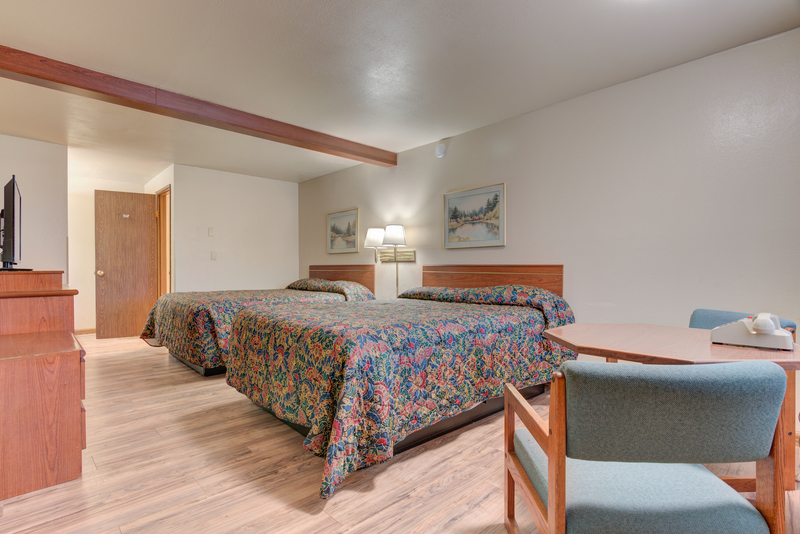 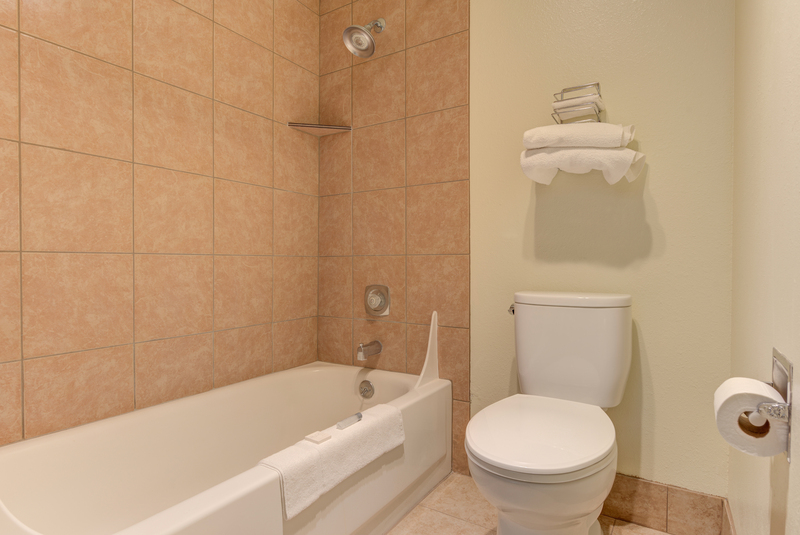 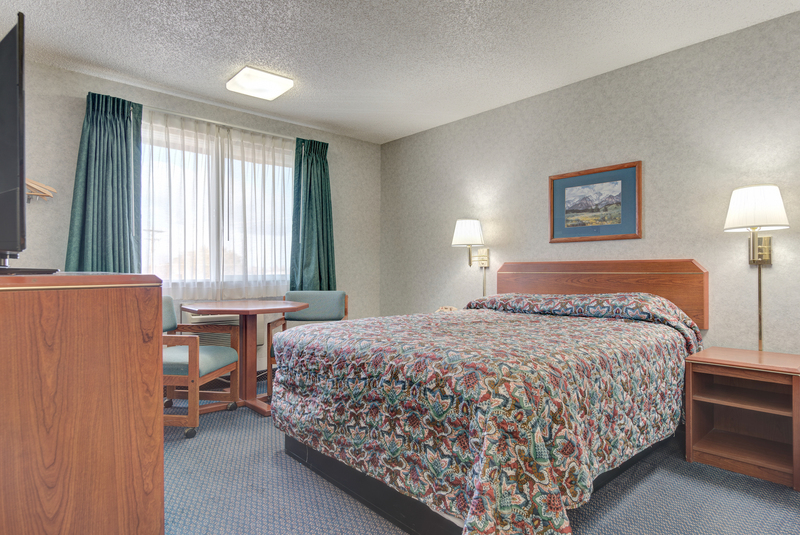 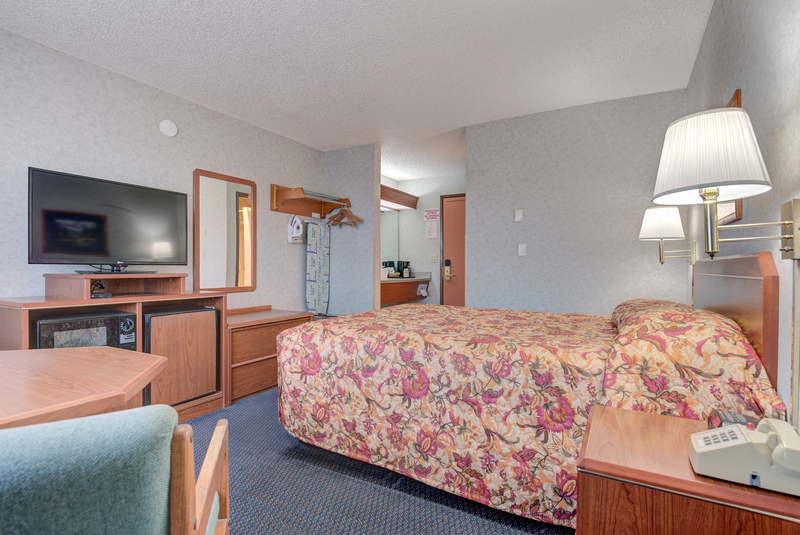 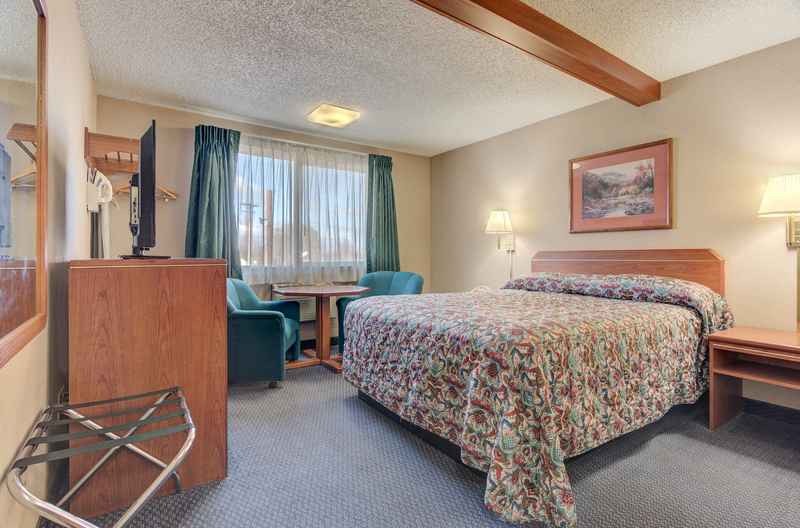 This is a larger space for the heavy packers, with a very spacious bedroom area and bathroom, your party of two to four will fit comfortably in our double queen room. 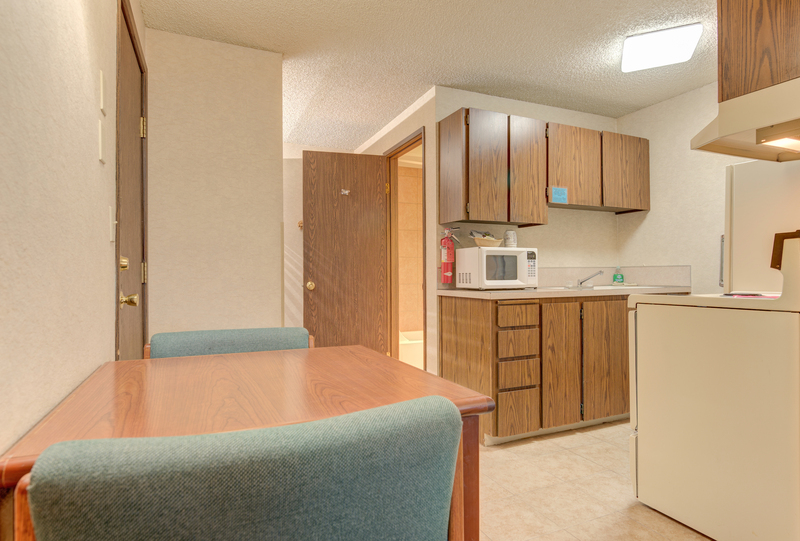 Armchairs, large desk space, microwave, mini-fridge, and flatscreen included. 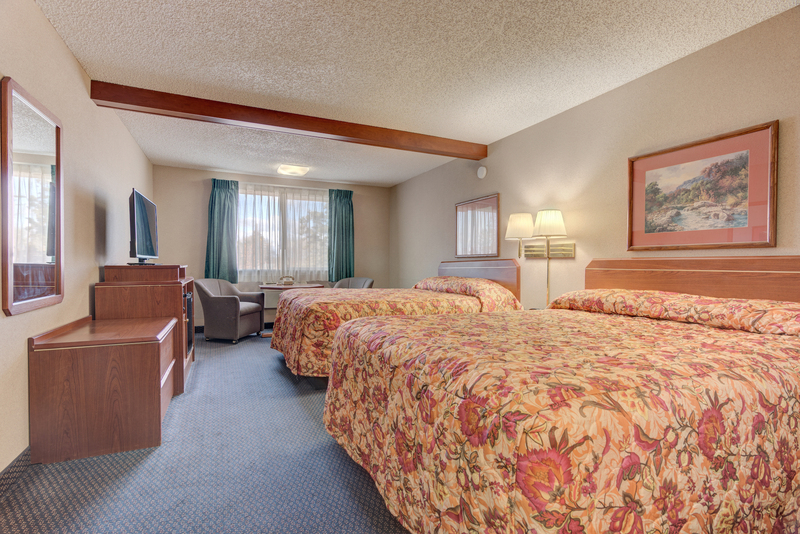 The essential space for your groups. 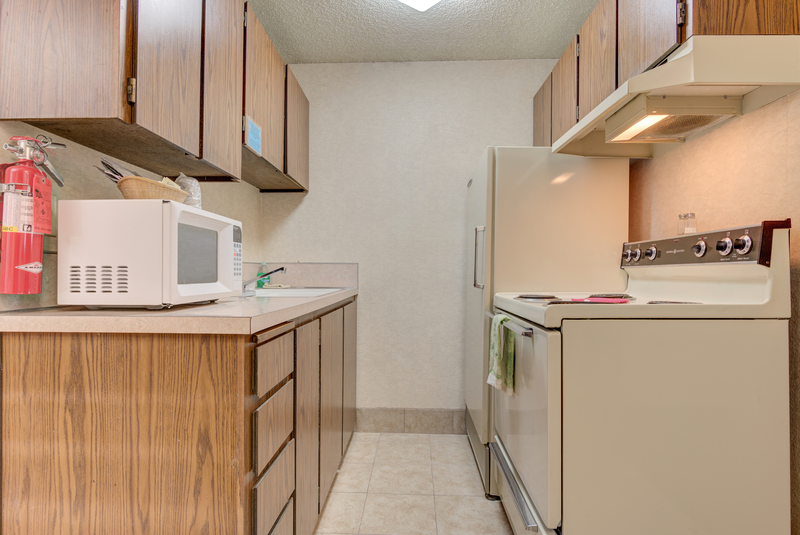 One queen beds complete kitchen with full-sized refrigerator, microwave, oven, stove-top, sink, and table. 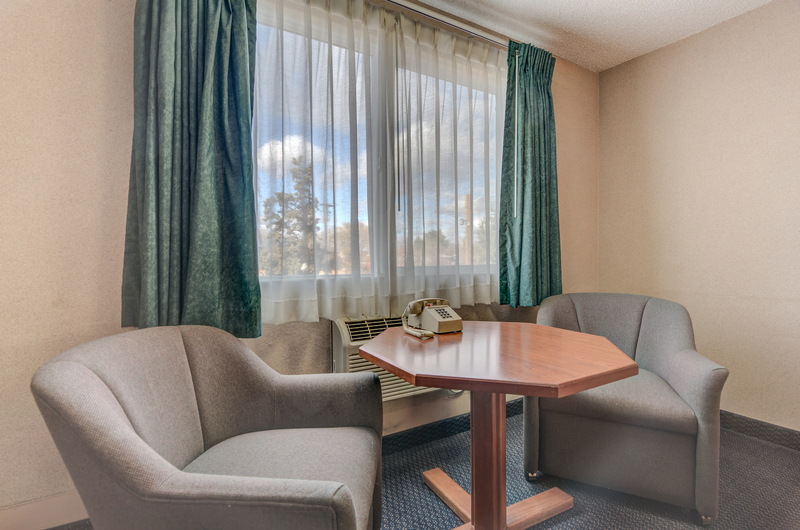 A large desk and armchairs included.